Where to turn if your professional life lands you in hot water. Tuckers Solicitors provides legal advice on a wide range of regulatory issues and disciplinary proceedings, brought by professional institutions, trading bodies and industry regulators. 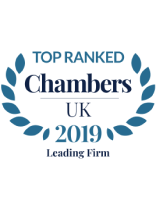 The firm has acted in matters relating to Competition and Enterprise, BERR and Directors’ Duties, The Environment Agency, Food and Product Sales, Trading Standards, Health and Safety, HM Revenue and Customs, The Financial Services Authority and Professional bodies’ disciplinary proceedings. Our lawyers are available 24 hours a day, 365 days a year, providing immediate advice, representation and assistance during proceedings. Please contact the Regulatory Law Department on 0207 388 8333 and ask for Jim Meyer or email meyerj@tuckerssolicitors.com. Tuckers Solicitors provides legal advice on a wide range of disciplinary proceedings, brought by professional institutions, trading bodies and industry regulators. Our lawyers have a wealth of expertise where Solicitors, Accountants, Healthcare Professionals, Footballers, as well as other professionals, find themselves the subject of a complaint to their professional body or regulator. This can lead to a formal investigation followed by a disciplinary hearing. These legal proceedings can take months or years; and can have a detrimental effect on a reputation and business. Our lawyers can advise you as to whether your insurance or professional liability will cover your legal costs.